Let’s click the following section title. The detail slideshows are available soon. 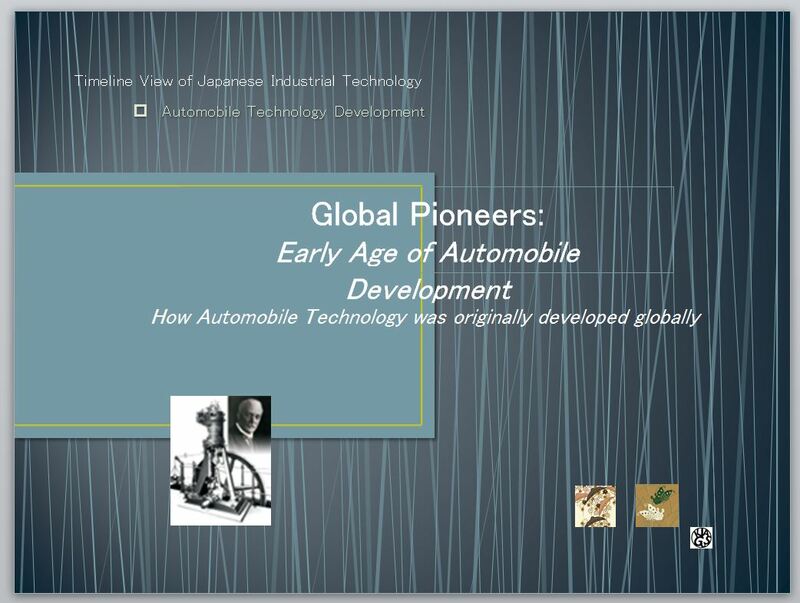 This section shows How Automobile Technology was originally developed globally. 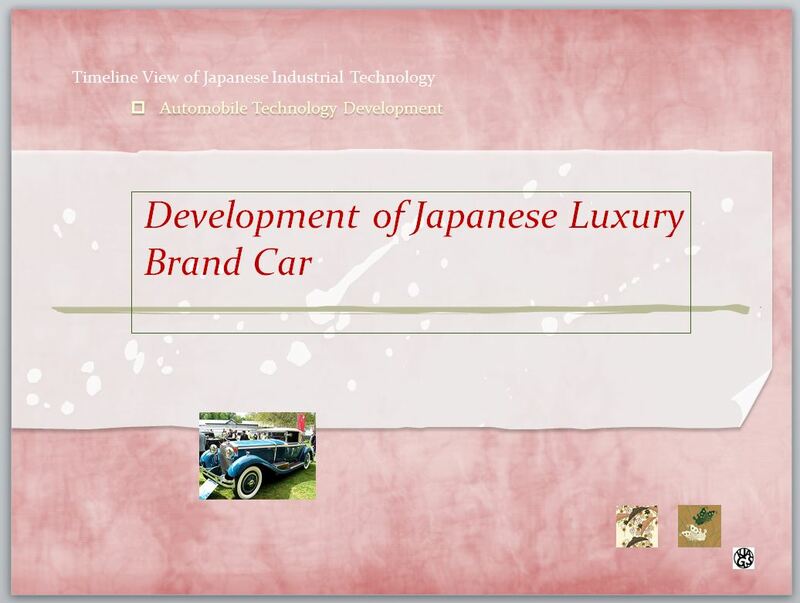 You can examine the initial automobile technology. A French engineer P-Levassor brought his car to Japan in 1898. This is the first car which Japanese people had observed in the street in Meiji period. 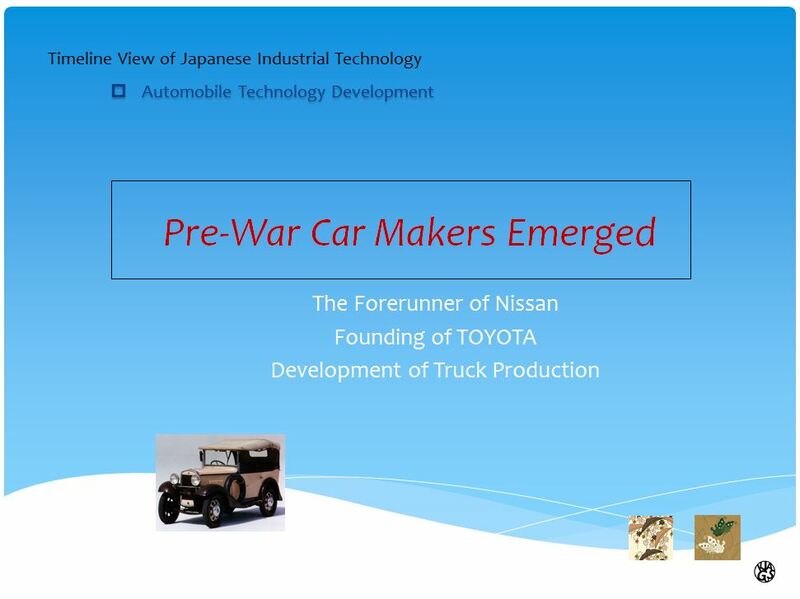 From them Japanese Engineers took to learn the way of Automobile Production by their own Initiative. 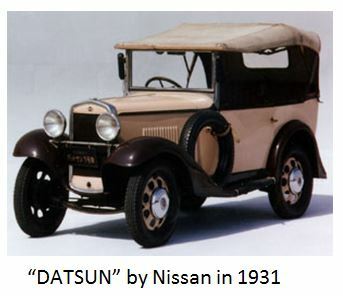 The predecessor of Nissan (DAT Co.) produced a Japanese first model car in 1910s. 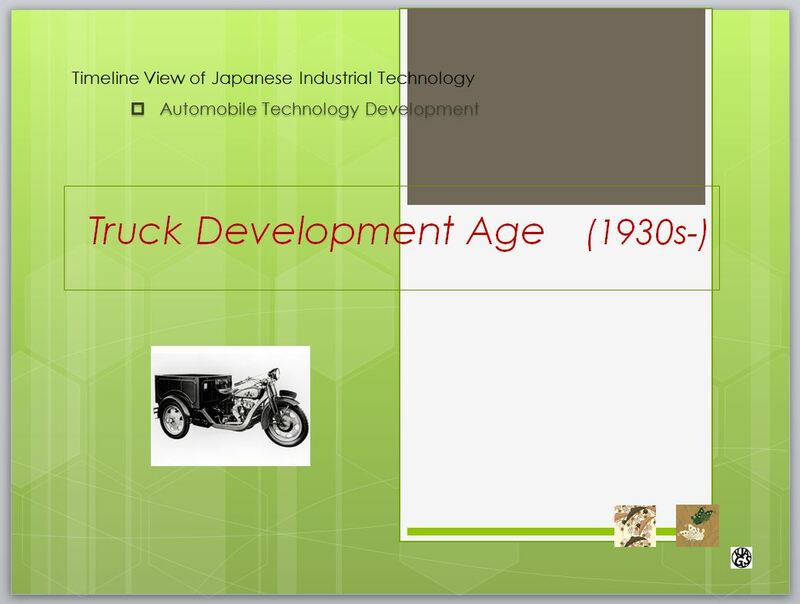 Kichiro Toyoda launched the automobile business with his colleagues in 1930s. 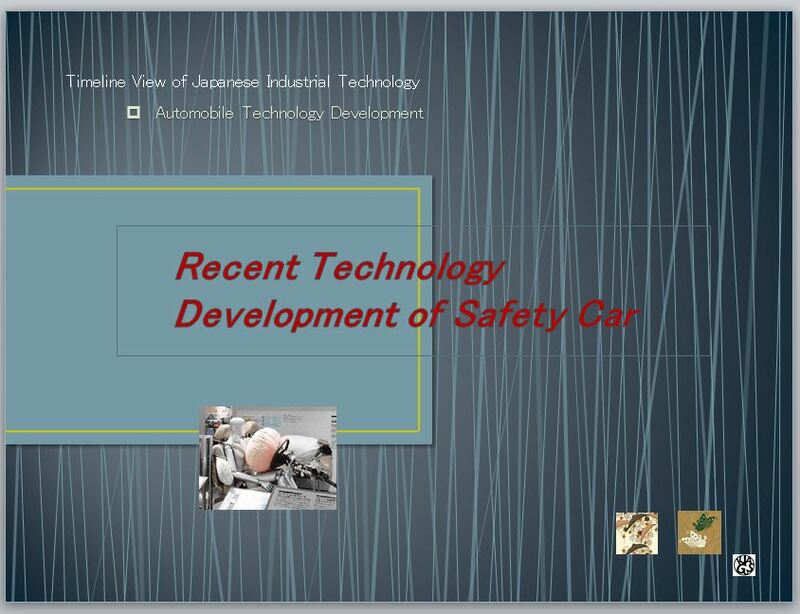 This is the Japanese initial challenges to the global Automobile Industries by Toyota and others. After the severe experience in the War time, Japan has gradually recovered its economy. In this process, people’s demand of convenient durable goods were boomed. Among them, the affordable car was particularly strong and government also promoted the people’s Car policy. Automakers responded these demand and enthusiastically developed variety of small affordable cars for consumers. 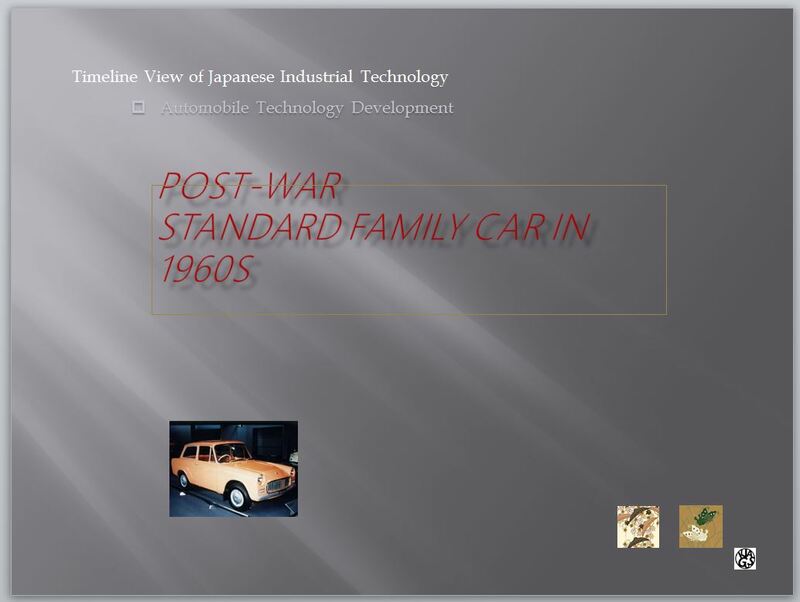 Standard Family car became increasing popular in the Japanese automobile market in 1960s. Among them the most popular affordable cars were the 700-800 cc class ones, such as Toyota Publica, Mitsubishi Colt 800, Mazda Familia and others. 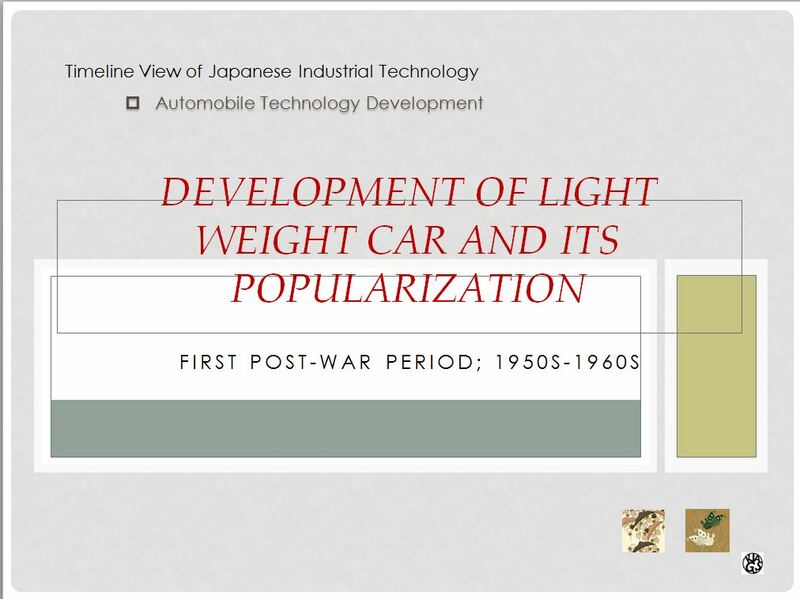 And The motorization boom leaped forward with the completion of popular cars whose designs reflected enhanced technological standards in Japan. 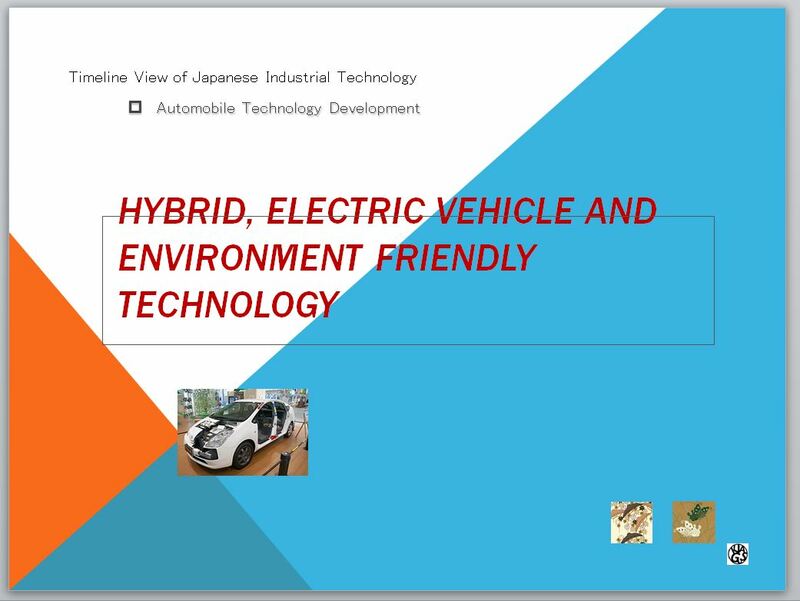 Japanese automakers have been promoting the development of technology and designs to reduce the gas emissions, and to economize energy. 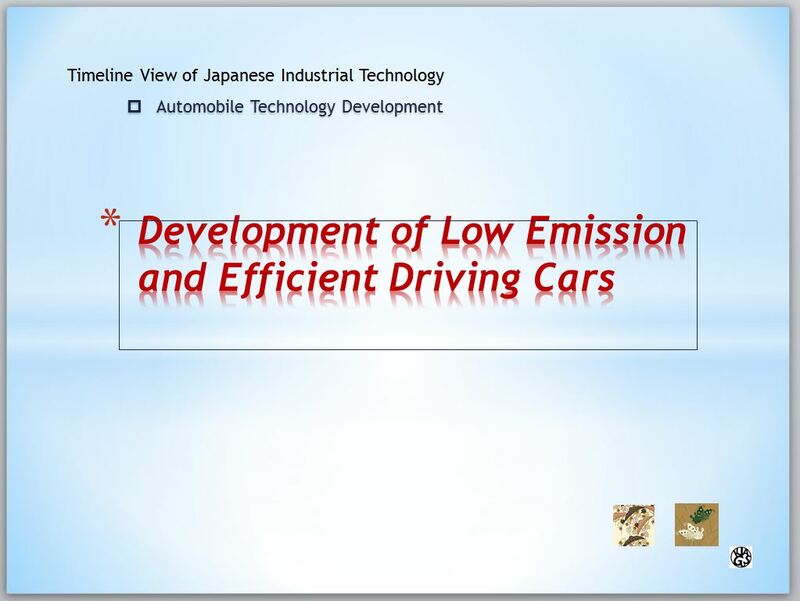 This section introduces the automobile technology that has been developed to adjust the social requirement, like the technology to improve safety, remove harmful substances from car’s gas emissions, and increase fuel efficiency. The automobile has developed as an indispensable means of personal transpiration and distribution of goods, and today it is involved in every aspect of our private and public lives. Automakers, meanwhile, have been compelled to adopt measures to help tackle issues that appeared as a consequence of the widespread use of motor vehicles. These include measures to enhance driving safely, to meet restrictions on exhaust emissions, and – since the first oil crisis – to economize on natural resources and energy. Each automaker has promoted the development of technology and designs to try and solve these issues. Recently many type of environment friendly car was introduced. This green vehicles can be powered by alternative fuels and advanced vehicle technologies and include hybrid electric vehicles, plug-in hybrid electric vehicles, battery electric vehicles, compressed-air vehicles, hydrogen and fuel-cell vehicles, neat ethanol vehicles, flexible-fuel vehicles, natural gas vehicles, clean diesel vehicles, and some sources also include vehicles using blends of biodiesel and ethanol fuel or gasohol. As part of their contribution to sustainable transport, these vehicles reduce air pollution and greenhouse gas emissions, and contribute to energy independence by reducing oil imports. 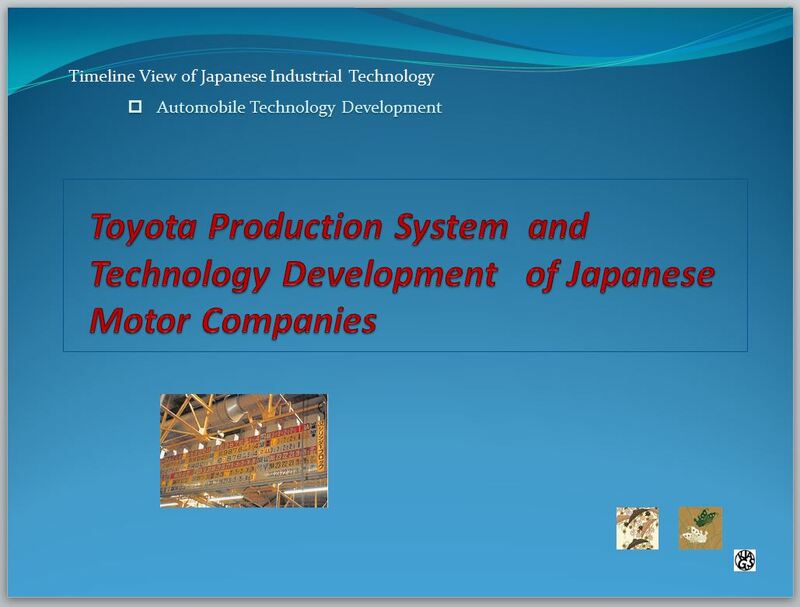 TPS Production Methods, which Toyota created, have significant influence of Japanese car production technologies and factory management, and symbolized as the Japanese excellent production system afterward. Established after many years of improvements, the unique Toyota Production System provides customers with high quality products through an efficient, uninterrupted workflow based on the Just-in-Time operation and Jidoka (intelligent automation) concept.